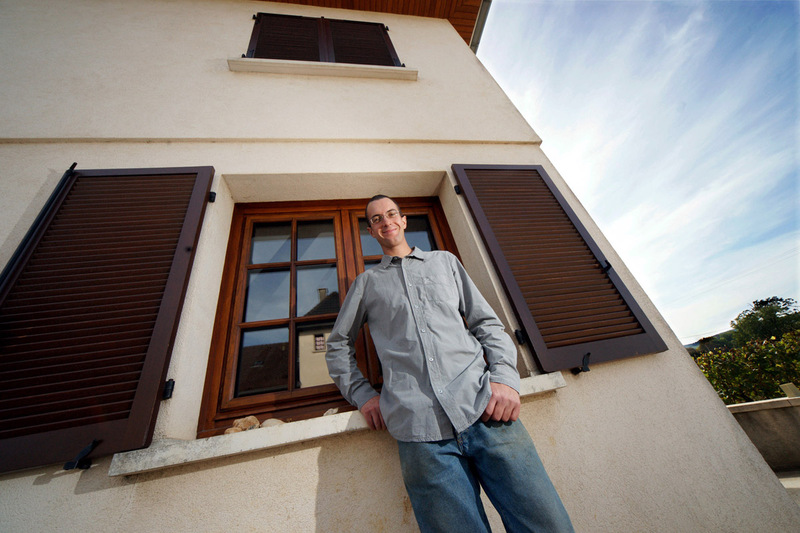 Raphaël Coche-Dury took over the winemaking from his father in 2007. He stands in front of his family home which was built in 1980 by his father. The winery is reflected in the window and the vines can be seen on the right. The clouds in the sky spread out like a star burst, showing the new star that Raphaël has become at Coche-Dury.